Modulation of the mTOR pathway through the GATOR1 and GATOR2 complex. Both complexes mediate the negative feedback of amino acid starvation to the mTOR complex 1. 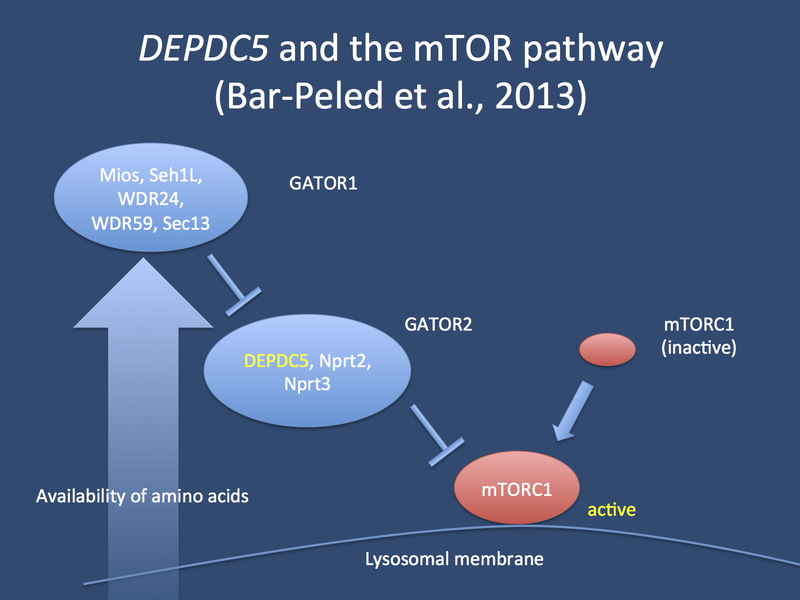 If DEPDC5 function is impaired, the cell does not know when to stop grow in response to amino acid starvation.